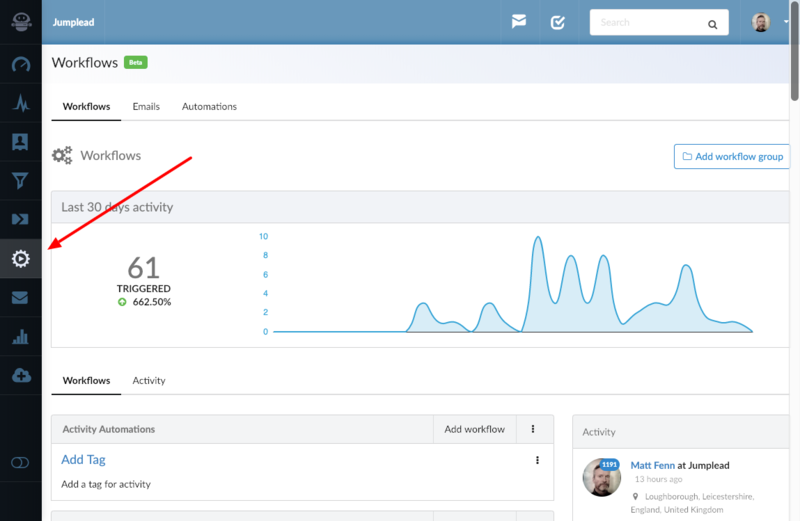 Activity Streams are filtered versions of the prospect activity that Jumplead detects on your website. 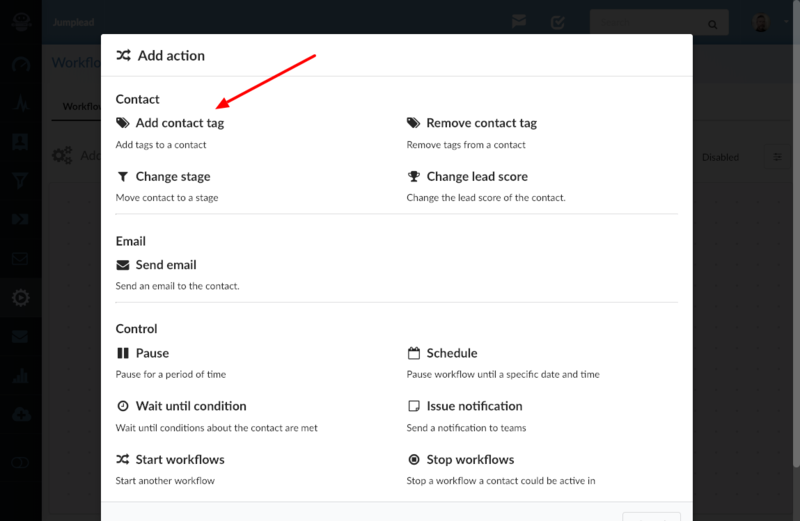 When a known Contact returns to your website and views certain pages you can use an Automation Workflow to trigger marketing actions. 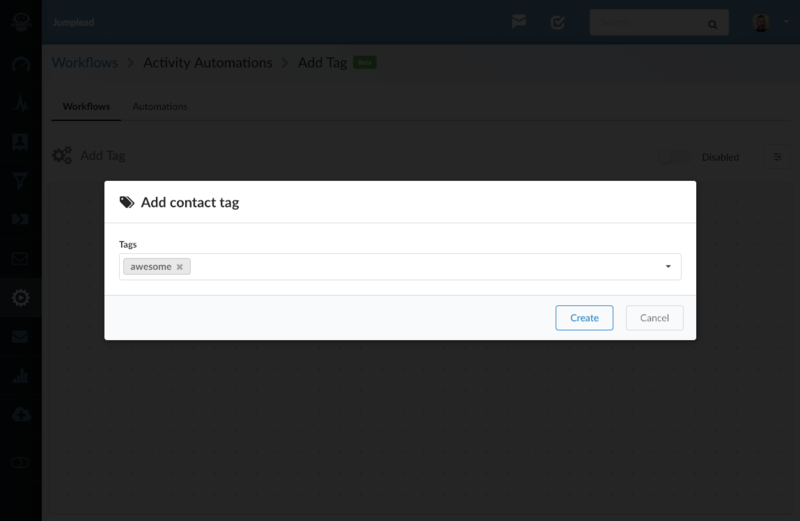 This kind of automation is best suited to sending a Notification to your sales team, letting them know that a specific Contact is engaged at that time. 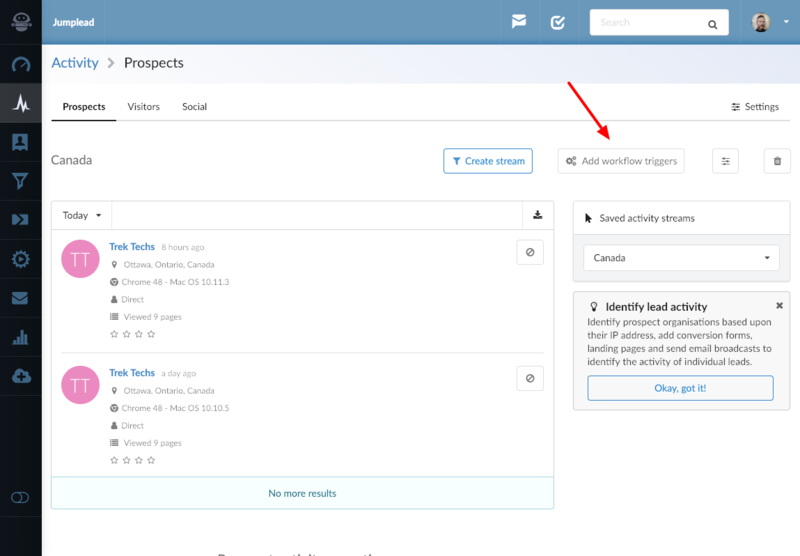 Or adding a Tag to the Contact so that you can create a contacts segment that reflects a certain type of engagement. Choose the activity stream you would like to add an automation to from your list of saved Activity Streams on the right hand side of the page in the Activity section. 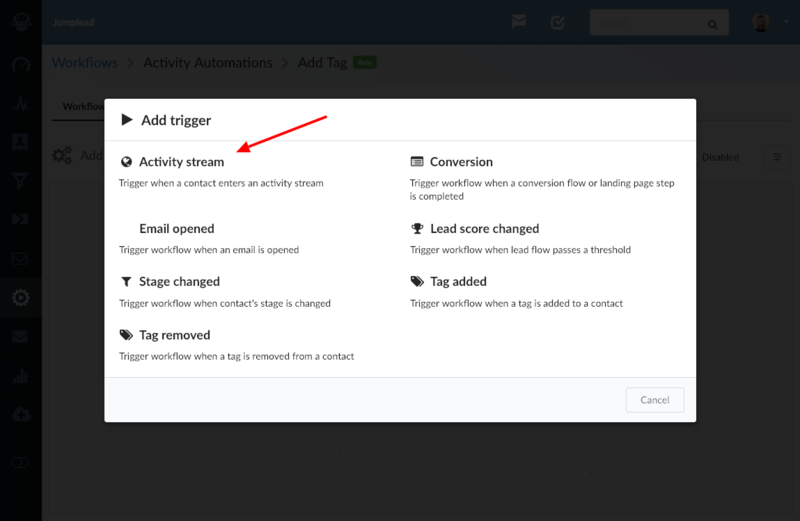 Then from your Activity Stream page you have the option to 'Add workflow triggers'. 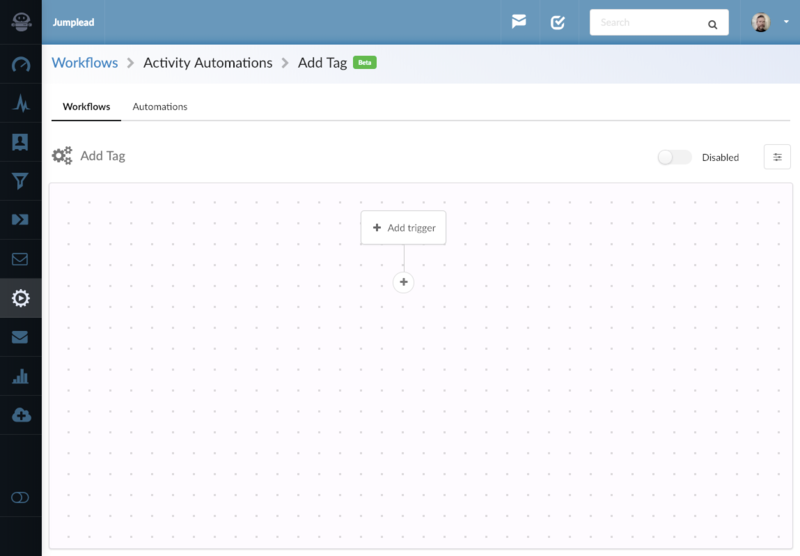 This button allows you to select and trigger an existing Automation Workflow. 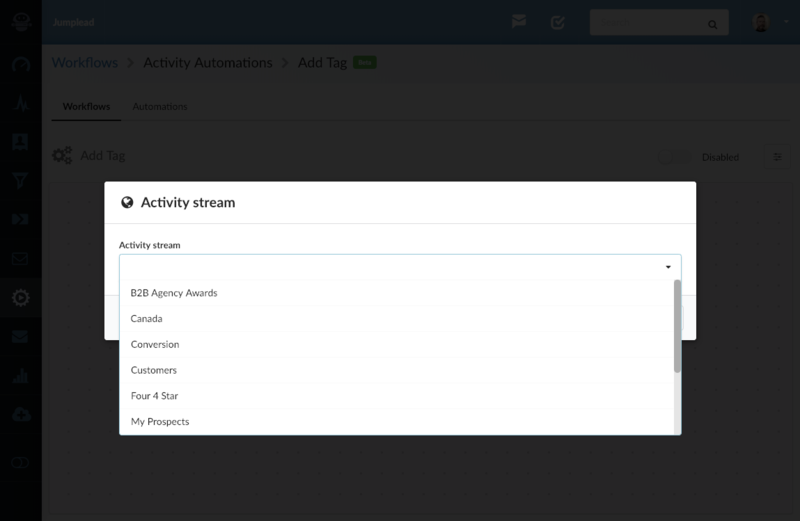 If you already have a Workflow you want to trigger you can click the 'Add workflow triggers' button to select it from your Activity Stream page. Select the Workflow you want to trigger. You have now set your Activity Stream to trigger your existing Workflow. 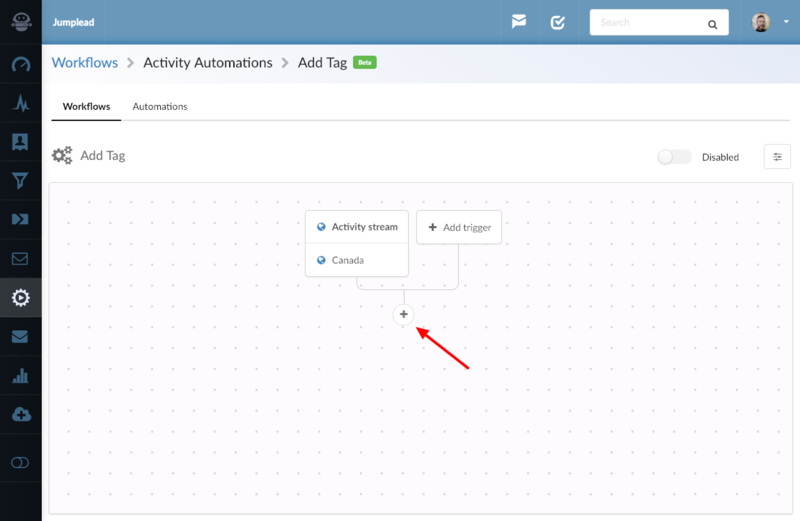 If you have already created an Activity Stream and now want to use it to trigger an Automation Workflow, this is done in the Automations section. 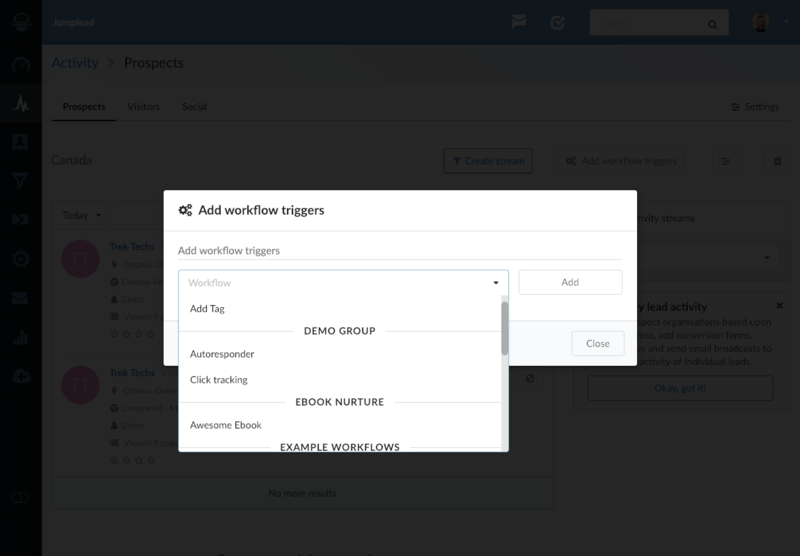 If you don't already have a Workflow group to add your new Workflow, add that first. Workflow groups are simply used to organise your Workflows. Click the 'Add workflow' button. Give your Workflow a name and choose if you want this workflow to run once or multiple time for a contact. You can now add the trigger for this Workflow, which will be your existing Activity Stream. Click the 'Add trigger' button. Choose 'Activity Stream' as your trigger option. Choose from the available Activity Streams. 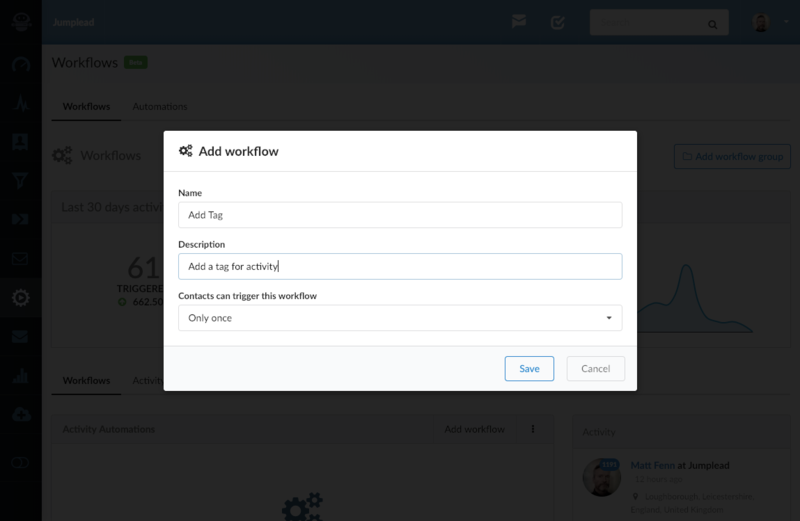 Now you can add an action you want to happen when this Workflow is started. There is a selection of actions you can choose from to build your Workflow. I'm going to add a contact tag. Choose the tag to add. You can of course extend your Workflow however you like. Simply Enable the Workflow in the top right side of the page for it to start working.